HTC on its way to introduce a high-end at the sametime budget friendly smartphone, named HTC Primo.The new HTC Primo Smartphone will be showed off at the upcoming Mobile World Congress (MWC 2012) in Spain. 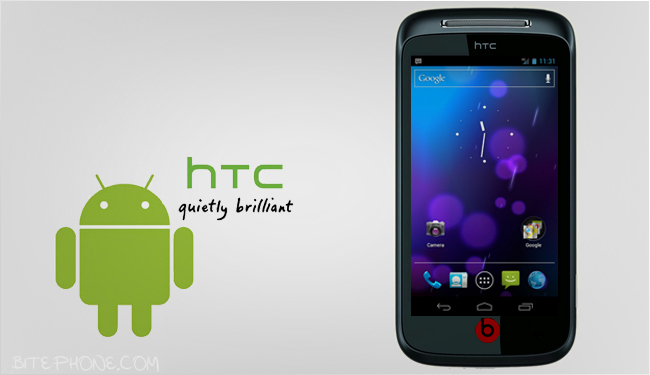 New HTC Primo smartphone comes equipped with a 3.7-inch touchscreen Super AMOLED display with Gorilla Glass and will be powered with a dual-core 1.0GHz Qualcomm processor.It also houses 512MB of RAM and the thickness is just 9mm. Other Features of new HTC Primo smartphone includes 5 megapixels camera, 720p (1280 x 720 pixels) HD video recording, Beats Audio technology and HTC Sense 4.0 UI.The HTC Primo smartphone runs on Android 4.0 Ice Cream Sandwich OS. 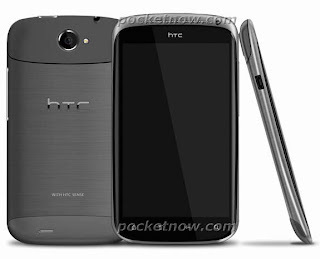 Tags:-Budget friendly smartphones, low priced HTC smartphone, HTC Primo smartphone features, HTC Primo smartphone images, HTC Primo smartphone details, HTC Primo smartphone configurations, HTC Primo smartphone pics, HTC Primo smartphone launch. Huawei recently introduced their all new Android tablet named Huawei MediaPad 7-inch tablet in Indian market.The new Huawei MediaPad 7-inch tablet now available in India through Online retailers Adexmart and LetsBuy for a price tag of Rs 28,000. Lets take a look into the specifications and Features of new Huawei MediaPad 7-inch tablet.The new MediaPad 7-inch tablet comes equipped with a 7-inch touchscreen display with 1280 x 800 pixels resolution and is powered with a 1.2GHz dual-core processor.The Huawei MediaPad tablet also houses 1GB of RAM and 8GB of ROM (eMMC). Other features of new Huawei MediaPad 7-inch tablet includes 5 megapixel rear camera, 1.3MP front-facing camera, SRS sound enhancement, HSPA+, Wi-Fi 802.11b/g/n and HDMI.The Huawei MediaPad runs on Android 3.2 Honeycomb OS and is housed with a 4100mAh battery. Tags:-Huawei MediaPad 7-inch tablet price, Huawei MediaPad 7-inch tablet india launch, Huawei MediaPad 7-inch tablet india price details, Huawei MediaPad 7-inch tablet india availability, Huawei MediaPad 7-inch tablet price in india, price of Huawei MediaPad 7-inch tablet, Huawei MediaPad 7-inch tablet india release, Huawei MediaPad 7-inch tablet india retailers, Huawei MediaPad 7-inch tablet images, Huawei MediaPad 7-inch tablet specs, Huawei MediaPad 7-inch tablet features, Huawei MediaPad 7-inch tablet configuration. 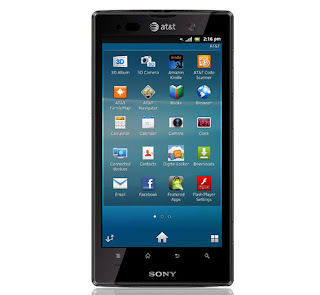 Sony's recently launched stylish high-end smartphone , named Sony Xperia Ion is now available as unlocked version in US market. 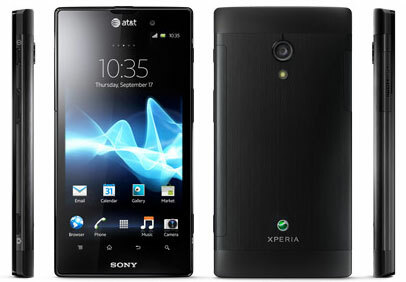 The unlocked version of new Sony Xperia Ion smartphone can be pre-ordered from online retailer Negri Electronics for an unlocked price tag of $569.50. The new Sony Xperia Ion smartphone comes equipped with a scratch-resistant 4.55-inch LED-backlit capacitive touchscreen display with a resolution of 720 x 1280 pixels along with multitouch support with up to 4 fingers.The Xperia Ion comes powered with a dual-core 1.5GHz Qualcomm MSM8260 Snapdragon processor along with Adreno 220 GPU and a 1GB RAM. Other Features of the Sony Xperia Ion dual-core Android smartphone includes 12MP rear-facing autofocus camera, a 1.3MP front-facing camera (720p@30fps), HDMI port, Wi-Fi 802.11 b/g/n, Bluetooth 2.1, NFC, and microUSB 2.0 connector.The Sony Xperia Ion has an internal memory of 16GB which can be expandable to another 32 GB via microSD card slot. The all new Sony Xperia Ion smartphone runs on Android 2.3 Gingerbread OS and the smartphone takes just 2 seconds to get the camera from standby and capturing the imge. 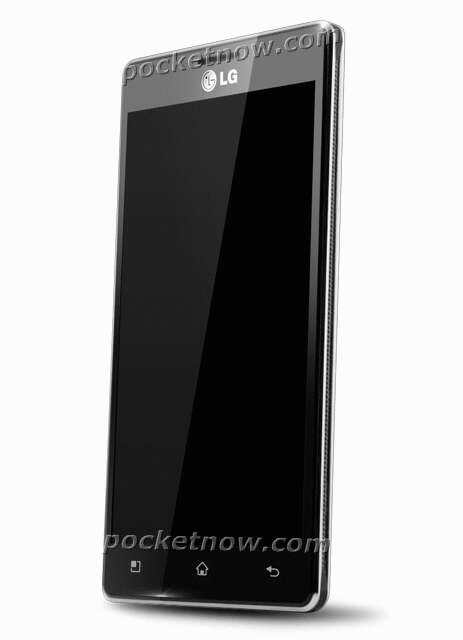 LG on its way to introduce its first ever quad-core smartphone, named LG X3 at the upcoming MWC 2012 next month.The new LG X3 smartphone is a stylish thin mobile phone with a thickness of less than 9mm. The new LG X3 quad-core smartphone comes equipped with a 4.7-inch touchscreen display with 1280 x 720 HD resolutions and is powered with a quad-core Tegra 3 processor.The LG X3 smartphone has an internal memory of 16GB and can be expandable via microSD card slot. Other Features of LG X3 quad-core smartphone includes 8 megapixel rear camera, 1.3MP front-facing camera, Bluetooth 4.0, 802.11 b/g/n Wi-Fi, 21Mbps HSPA support and NFC.The LG X3 quad-core smartphone runs on Android 4.0 Ice Cream Sandwich OS and has a 2,000 mAh battery. Tags:- LG X3 quad-core smartphone launch, LG X3 quad-core smartphone price, LG X3 quad-core smartphone features, LG X3 quad-core smartphone specs, LG X3 quad-core smartphone camera, LG X3 quad-core smartphone specs, LG X3 quad-core smartphone images, LG X3 quad-core smartphone pics. 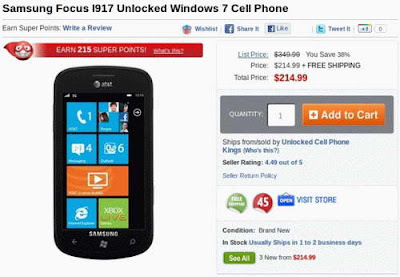 Online retailer Buy.com recently added to sale the unlocked version Samsung Focus I917 Windows Phone 7 in their website.The new Samsung Focus I917 Windows Phone 7 unlocked version is available for a price tag of $214.99 along with free shipping. The Samsung Focus I917 runs on Windows Phone 7 was introduced back in October last year.Other specifications includes 4-inch Super AMOLED capacitive touchscreen display with a resolution of 480 x 800 pixels, a 5MP autofocus camera with LED flash, 8GB internal memory, and Bluetooth 2.1. 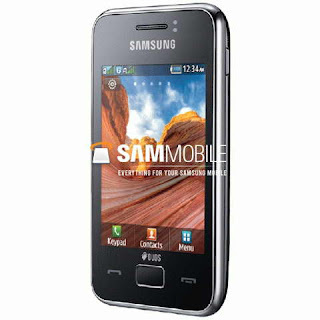 Tags:- Samsung Focus I917 Windows Phone 7 price, Samsung Focus I917 Windows Phone 7 unlocked price, Samsung Focus I917 Windows Phone 7 availability, cost of Samsung Focus I917 unlocked version. Samsung recently added two new mobile handsets to its Star series of mobiles, named Samsung Star 3 and Samsung Star 3 Duos (S5222).Both the mobile phones are not smartphone range phones and is available with an affordable price.The major difference between the two Samsung Star 3 and Star 3 Duos phones is that the Samsung Star 3 Duos (S5222) is a Dual SIM mobile. Both the new Samsung Star 3 and Star 3 Duos phones comes equipped with a 3-inch touchscreen QVGA TFT LCD display and Features TouchWiz Lite UI, SoundAlive (music player), Stereo FM with RDS.The camera comes with the Star 3 handsets is a 3.2 megapixel camera. Samsung Star 3 and Star 3 Duos phones comes integrated with Facebook and Twitter along with Samsung’s ChatON mobile messenger.Connectivity options of Star 3 handsets includes Bluetooth 3.0, Wi-Fi 802.11b/g/n as well as quad-band GSM / EDGE support. The memory card slot of both Star 3 and Star 3 Duos phones supports up to 16GB card.The handset packs a 1000mAh battery.The Star 3 handsets weighs almost 95g and its dimensions are 58 x 102 x 11.5 mm. Both Samsung Star 3 and Star 3 Duos will be available first in Russia by the end of this month and soon across other markets in Europe, Asia, Latin America, and Africa. Tags:-Samsung Star 3 and Star 3 Duos phones specs, Samsung Star 3 and Star 3 Duos phones images, Samsung Star 3 and Star 3 Duos phones details, Samsung Star 3 and Star 3 Duos phones features, Samsung Star 3 and Star 3 Duos phones launch, Samsung Star 3 and Star 3 Duos phones india availability, Samsung Star 3 and Star 3 Duos phones release in india, Samsung Star 3 and Star 3 Duos phones review. LG recently made the availability of its new Dual Sim smartphone that belongs to the Optimus family, named LG Optimus Net P698.The new LG Optimus Net P698 Dual Sim smartphone is now available via LetsBuy and Flipkart for a price tag of Rs 10,499 and Rs 10,990 respectively. About the specification, the new LG Optimus Net P698 Dual Sim smartphone equips a 3.2-inch capacitive touchscreen display with HVGA (480 x 320 pixels) resolution and is powered with n 800MHz processor.The Dual Sim smartphone has an internal memory of 163 MB. Other Features of the new LG Optimus Net P698 Dual Sim smartphone includes a 3.2MP autofocus camera with VGA video recording, 3G, Wi-Fi 802.11b/g/n, Wi-Fi Direct, GPS, Bluetooth 3.0, and Dual Sim Dual Standby.The LG Optimus Net P698 comes with a 2GB memory card. New LG Optimus Net P698 Dual Sim smartphone runs on Android 2.3 Gingerbread OS.The smatphone weighs weighs 124.6grams and its dimensions are 114 x 59 x 12.1 mm.The LG Optimus Dual Sim smartphone battery ie the Li-Ion 1500 mAh battery is capable of providing 581 hours of standby time or 12 hours of talk time life. 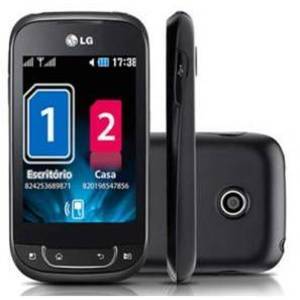 Tags:- LG Optimus Net P698 Dual Sim smartphone price, LG Optimus Net P698 Dual Sim smartphone india price, LG Optimus Net P698 Dual Sim smartphone features, price of LG Optimus Net P698 Dual Sim smartphone, LG Optimus Net P698 Dual Sim smartphone price in india, cost of LG Optimus Net P698 Dual Sim smartphone, LG Optimus Net P698 Dual Sim smartphone India cost, LG Optimus Net P698 Dual Sim smartphone images, LG Optimus Net P698 Dual Sim smartphone photos, LG Optimus Net P698 Dual Sim smartphone pics, LG Optimus Net P698 Dual Sim smartphone specs, LG Optimus Net P698 Dual Sim smartphone details, LG Optimus Net P698 Dual Sim smartphone review, LG Optimus Net P698 Dual Sim smartphone launch, LG Optimus Net P698 Dual Sim smartphone india release, LG Optimus Net P698 Dual Sim smartphone availability in india. 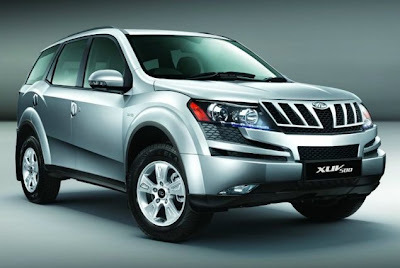 Mahindra restarted the booking of its all new SUV, named Mahindra XUV500 which was launched in september 2011.The booking will start from 25th January and will be continued for the next 10 days.You could book the SUV in any of Mahindra's showroom for a booking price of 80,000 Rs. Tags:- Mahindra XUV500 booking price, Mahindra XUV500 booking details, Mahindra XUV500 booking. LG recently made the official announcement of their first LTE tablet, named LG Optimus Pad LTE.LG also announced that the new LG Optimus Pad LTE will be available first in South Korean markets soon followed by other markets.LG also claimed that the HD IPS display delivered by the Optimus Pad LTE is the best-in-class in the tablets. New LG Optimus Pad LTE equips an 8.9-inch IPS True HD touchscreen display with 1280 x 768 resolutions and is powered with 1.5GHz Qualcomm dual-core processor.Other features includes an 1GB RAM, 8 megapixel rear camera, a front-facing 2MP camera, HDMI, DLNA, Wi-Fi, GPS and Bluetooth. LG Optimus Pad LTE runs on Android 3.2 Honeycomb OS and is the first tablet that supports an SD memory card of up to 32GB.The tablet has a diamension of 245 x 151.4 x 9.34 mm and weighs 497 grams.The 6,800mAh battery of the LG Optimus Pad LTE tablet provides about 5 hours of back-up life. 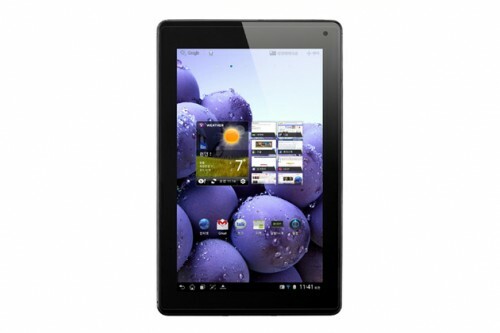 The price of new LG Optimus Pad LTE is not relieved yet. Tags:- LG Optimus Pad LTE price, LG Optimus Pad LTE launch, LG Optimus Pad LTE release, LG Optimus Pad LTE specs, LG Optimus Pad LTE images, LG Optimus Pad LTE photo gallery, LG Optimus Pad LTE pics, LG Optimus Pad LTE memory, LG Optimus Pad LTE camera, LG Optimus Pad LTE processor. 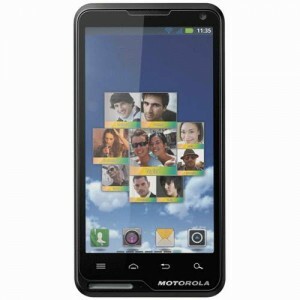 Motorola, at the CES 2012 introduced its powerful 4G smartphone, named Motorola Droid RAZR Maxx.Its said that the new Motorola Droid RAZR Maxx is the most thinnest (8.99mm) and the longest battery life providing (about 21 hours) 4G smartphone available now in mrket. Motorola Droid RAZR Maxx Smartphone comes equipped with a 4.3-inch Super AMOLED Advanced touchscreen display with a resolution of 960 x 540 pixels and is covered by Gorilla Glass.The Motorola Droid RAZR Maxx Smartphone comes powered with a powerful 1.2GHz dual-core processor along with 1GB RAM, and 16GB of in-built memory storage that can be expandable via a microSD card (16GB card included). Other features of Motorola Droid RAZR Maxx Smartphone includes a 8MP rear-facing camera with LED flash, 1080p video recording capability, a 1.3-megapixel front camera, 4G LTE support, Wi-Fi 802.11b/g/n, Bluetooth 4.0, GPS, e-compass, HDMI and USB 2.0 ports. New Motorola Droid RAZR Maxx Smartphone runs on Android 2.3.5 (Gingerbread) OS.The handset includes a 3300 mAh battery capable of providing 21 hours of talk time battery life.The Droid RAZR Maxx handset weighs 145grams and its dimensions are 130.7 x 68.9 x 8.99 mm. 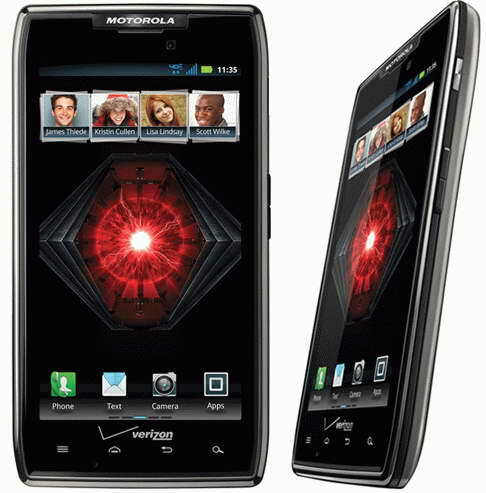 Moving on to the price details, the all new Motorola Droid RAZR Maxx Smartphone will be available soon in US market via Verizon with a price tag of $299.99 on a 2-year contract. Motorola Razr Maxx coming to India at Rs 31,999 on June 24 2012. Tags:- Motorola Droid RAZR Maxx launch, Motorola Droid RAZR Maxx price, Motorola Droid RAZR Maxx features, Motorola Droid RAZR Maxx camera, Motorola Droid RAZR Maxx availability, price of Motorola Droid RAZR Maxx , Motorola Droid RAZR Maxx images, Motorola Droid RAZR Maxx photogallery, thinnest smartphone handset, dual core handset from motorola, Bluetooth 4.0 smartphone, Motorola Bluetooth 4.0 handsets. Samsung recently made the availability of their new tablet in Indian market, named Samsung Galaxy tab 620.In India the new Samsung Galaxy tab 620 Tablet available in two shade - Snow Silver and Metallic Gray. 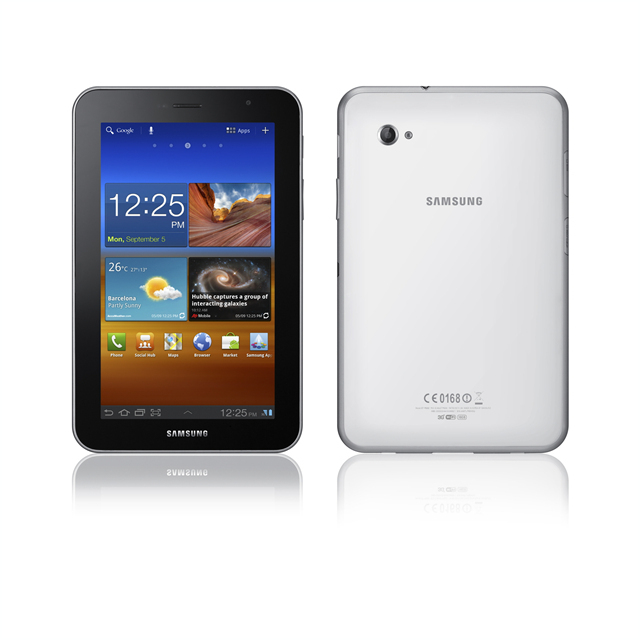 Samsung Galaxy tab 620 tablet available now in India with a price tag of Rs.30,250. New Samsung Galaxy tab 620 tablet packs a 7-inch touchscreen PLS LCD display with WSVGA (1024 x 600) and is powered with a 1.2GHz dual core processor.Other Specifications of Galaxy tab 620 tablet includes 1GB of RAM, 16GB internal memory which can be expandable up to 64GB via microSD card, a 2 megapixel front facing camera and a 3MP rear-facing autofocus camera with LED flash along with 720p HD video recording capbility @30fps. Other Features of Samsung Galaxy tab 620 tablet are the tab 620 has capable to act as a universal remote control, runs on Android Honeycomb 3.2 OS with Samsung’s Touchwiz UI and Wi-Fi Channel Bonding feature foreasily share data over Wi-Fi .For connectivity the Galaxy tab 620 tablet comes with options like Bluetooth 3.0, 3G with HSPA+ support (21Mbps data speeds), and Wi-Fi 802.11 a/b/g/n. Applictions that comes along with the Galaxy tab 620 tablet are Sybase Afaria MDM (Mobile Device Management), on-device encryption, Exchange ActiveSync, Cisco VPN, Cisco Webex and the tablet houses a 4,000 mAh Li-on battery as power source. Tags:- Samsung Galaxy tab 620 tablet price, Samsung Galaxy tab 620 tablet india price, Samsung Galaxy tab 620 tablet features, Samsung Galaxy tab 620 tablet launch in india, price of Samsung Galaxy tab 620 tablet, india price tag of Samsung Galaxy tab 620 tablet, Samsung Galaxy tab 620 tablet details, Samsung Galaxy tab 620 tablet specs, Samsung Galaxy tab 620 tablet processor, dual core tablets in india, Samsung Galaxy tab 620 tablet images. 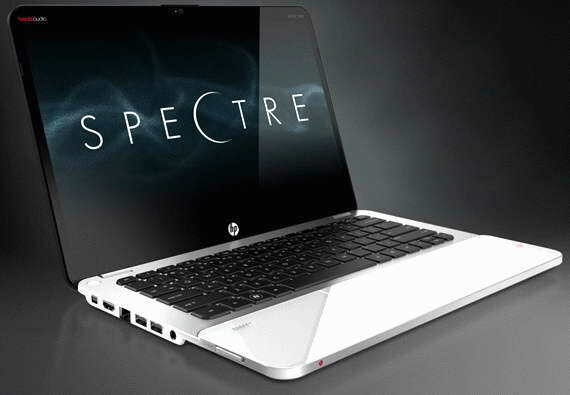 Hewlett-Packard (HP) at the CES 2012 introduced its all new ultrabook, the HP Envy 14 Spectre.The new HP Envy 14 Spectre is a stylish laptop with a total glass finish chassis.The laptop's lid, display, palmrest and the HP ImagePad is made of with lightweight scratch resistant glass. 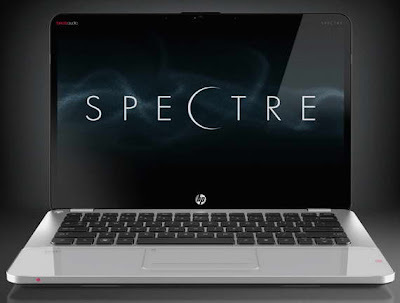 New HP Envy 14 Spectre ultrabook equips a full 14-inch Radiance Display with resolution of 1600 x 900 pixels and is powered with a 1.6GHz Intel Core i5-2467M processor.Other Specifications includes 4GB of RAM, 128GB of SSD that support for two ultrafast mSATA solid state drives, and optional upgrade to 256GB . All new HP Envy 14 Spectre ultrabook Features CoolSense technology, HP Wireless Audio, backlit keyboard and houses Beats by Dr. Dre-certified speakers. The connectivity options of HP Envy 14 Spectre ultrabook includes Bluetooth, USB 3.0, Ethernet, HDMI out, Mini DisplayPort, WiDi and NFC. The battery bacup of the laptop is about 9 hours. New stylish HP Envy 14 Spectre ultrabook will be available in markets from next month ie February 2012 onwards with a price tag that starts at $1,400. Tags:- HP Envy 14 Spectre ultrabook price, HP Envy 14 Spectre ultrabook gallery, HP Envy 14 Spectre ultrabook images, HP Envy 14 Spectre ultrabook specs, HP Envy 14 Spectre ultrabook details, HP Envy 14 Spectre ultrabook launch, HP Envy 14 Spectre ultrabook release, HP Envy 14 Spectre ultrabook availability, price of HP Envy 14 Spectre ultrabook, HP Envy 14 Spectre ultrabook stills, HP Envy 14 Spectre ultrabook features. Toshiba recently introduced world’s thinnest tablet, named Toshiba Excite X10.The new Toshiba Excite X10 runs on a dual-core processor and runs on Android 4.0 OS. Toshiba Excite X10 tablet comes with a 10.1-inch touchscreen AutoBrite display with 1280 x 800 resolution, protected by Gorilla Glass, 16:10 aspect ratio, and 149ppi Wideviewing Angle (like an IPS display).The tablet is powered with a 1.2GHz TI OMAP 4430 dual-core processor. New Toshiba Excite X10 tablet featres 1GB of RAM, 16GB / 32GB of storage, rear-facing 5MP camera, a 2 megapixel front camera, and a microSD card slot that support up to 32GB card.The connectivity options includes USB port, micro HDMI, and DNLA compatibility.Toshiba Excite X10 tablet runs on Android 4.0 Ice Cream Sandwich OS. Tags:- Toshiba Excite X10 tablet price, Toshiba Excite X10 tablet features, Toshiba Excite X10 tablet details, Toshiba Excite X10 tablet specs, Toshiba Excite X10 tablet launch, Toshiba Excite X10 tablet release, Toshiba Excite X10 tablet price tag, Toshiba Excite X10 tablet processor, Toshiba Excite X10 tablet images, Toshiba Excite X10 tablet pics. LG recently announced the introduction of powerful 3D notebook, named LG P535 Cinema 3D notebook.The new LG P535 Cinema 3D notebook is mainly aimed at gaming geeks.The new LG 3D notbook will be presented at the upcoming Consumer Electronics Show (CES) 2012 in Las Vegas. New LG P535 Cinema 3D notebook comes equips with a 15.6-inch LED-backlight display and is powered with a 2nd generation Intel Core i7 processor.Other fetures includes NVIDIA’s latest GeForce GT 630M graphics card capable of providing superior CINEMA 3D capabilities, Web cam, Wi-Fi, Bluetooth 3.0, . 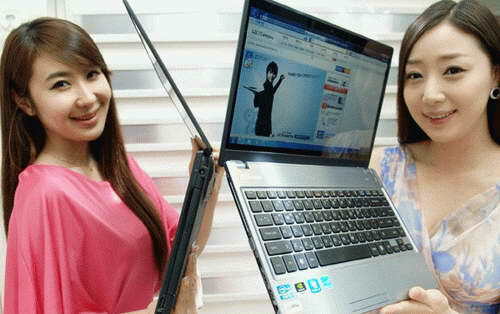 LG P535 3D Notebook will be available in markets by the Q1 of 2012. Tags:-LG P535 3D Notebook availability, LG P535 3D Notebook price, LG P535 3D Notebook images, LG P535 3D Notebook features, LG P535 3D Notebook details, LG P535 3D Notebook launch, LG P535 3D Notebook specs, LG P535 3D Notebook pics. Motorola recently introduced its all new slim touchscreen Android smartphone, named Motorola Motoluxe.The new Motorola Motoluxe will be showed off at the upcoming CES 2012 which starts next week and will be available in markets of Europe, Greater China, and Latin America by the begining of February 2012. New Motorola Motoluxe features a 4-inch FWVGA touchscreen edge-to-edge display and is powered with an 800MHz processor.Motoluxe includes 512MB of RAM, and 1GB of ROM.Other Motorola Motoluxe specifications includes rear 8 megapixel camera with LED flash, GPS and a VGA front-facing camera. Motorola Motoluxe runs on Android 2.3.7 Gingerbread OS and the connectivity options includes Wi-Fi 802.11 b/g/n, HSDPA, and Bluetooth 3.0 connectivity. 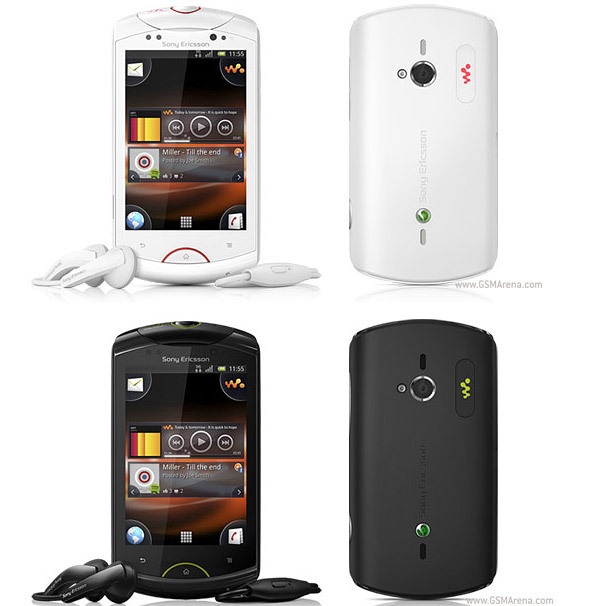 Tags:- Motorola Motoluxe Smartphone specs, Motorola Motoluxe Smartphone features, Motorola Motoluxe Smartphone launch, Motorola Motoluxe Smartphone release, Motorola Motoluxe Smartphone pics, Motorola Motoluxe Smartphone images. 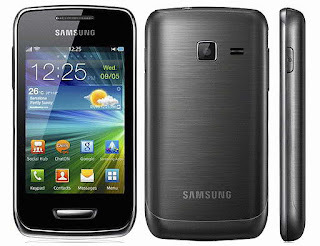 Samsung recently introduced its all new Bada-powered smartphone, the Samsung Wave Y S5380 in Indian market.The new Samsung Wave Y S5380 can be now available for an affordable pricce tag of Rs. 7,950 (around $150). New Samsung S5380 Wave Y smartphone houses a 3.2-inch touchscreen display with HVGA (320 x 480 pixels) resolution and is boosted with a 832MHz processor.The Wave Y S5380 smartphone features a 2MP rear-facing camera and is having a 150MB built-in memory long with an expandable microSD card slot which already included a 2GB card. All new Samsung S5380 Wave Y smartphone runs on bada 2.0 OS and has TouchWiz UI.Other Specifications of Samsung new Wave Y smartphone includes Samsung ChatOn, GPS where as the connectivity options includes WiFi 802.11 a/b/g/n, mobile hotspot feature, Bluetooth 3.0, a 3.5mm headset jack, and HSDPA. The Samsung S5380 Wave Y smartphone is also available with Airtel SIM card that provides you with free 500MB data for 1 month and 100MB data monthly for 1-year on 3G connectivity. Tags: Samsung S5380 Wave Y smartphone price in india, Samsung S5380 Wave Y smartphone india price tag, Samsung S5380 Wave Y smartphone camera, Samsung S5380 Wave Y smartphone features, Samsung S5380 Wave Y smartphone specs, Samsung S5380 Wave Y smartphone details, Samsung S5380 Wave Y smartphone images, Samsung S5380 Wave Y smartphone pics, Samsung S5380 Wave Y smartphone specs, Samsung S5380 Wave Y smartphone india availability, Samsung S5380 Wave Y smartphone specifications, price of Samsung S5380 Wave Y smartphone. Samsung recently introduced a new smartphone named, Samsung Galaxy Ace Plus smartphone.The new Samsung Galaxy Ace Plus smartphone will be available in Russian markets by this month and soon in markets of Europe, CIS, Latin America, Southeast and Southwest Asia, the Middle East, Africa and China. 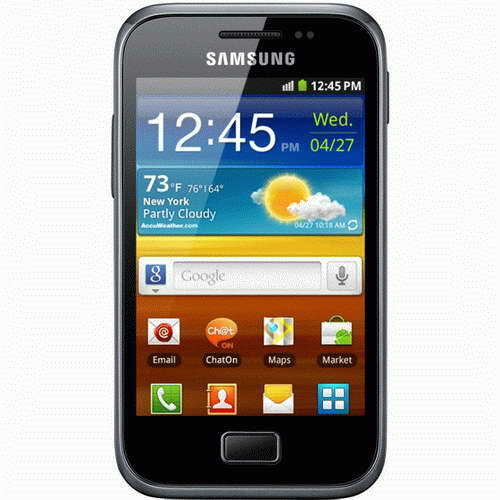 The new Samsung Galaxy Ace Plus smartphone equips a 3.65-inch touchscreen display with HVGA (320 x 480) resolution and is powered with 1GHz processor.Other features includes 512MB of RAM, 3GB of built-in memory, 5MP autofocus camera with LED flash, A-GPS, Bluetooth 3.0, 7.2Mbps HSDPA support, and Wi-Fi 802.11b/g/n. 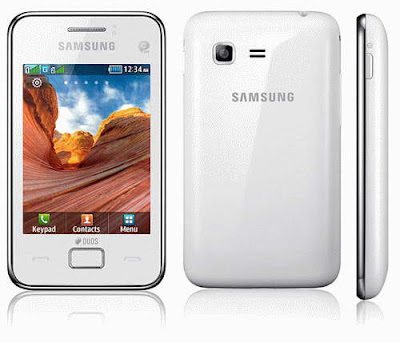 New Samsung Galaxy Ace Plus smartphone runs on Android 2.3 Gingerbread OS.It houses a microSD card slot (up to 32GB) and a 1300mAh Li-ion battery.The handset weighs 115 grams and its dimensions are 114.7 x 62.5 x 11.2 mm. The price of Samsung Galaxy Ace Plus smartphone is expected to be $300(unlocked). Tags:- Samsung Galaxy Ace Plus smartphone price, Samsung Galaxy Ace Plus smartphone specs, Samsung Galaxy Ace Plus smartphone specifications, Samsung Galaxy Ace Plus smartphone details, Samsung Galaxy Ace Plus smartphone camera, Samsung Galaxy Ace Plus smartphone processor, Samsung Galaxy Ace Plus smartphone price tag, Samsung Galaxy Ace Plus smartphone launch, Samsung Galaxy Ace Plus smartphone internal memory. Acer now on its way to introduce its all new powerful tablet named, Acer Iconia Tab A700 soon in market.According to the availble information the new tablet will be powered with a Tegra 3 quad-core processor.The new acer quad core tablet is expected to show off at the CES 2012 in January. 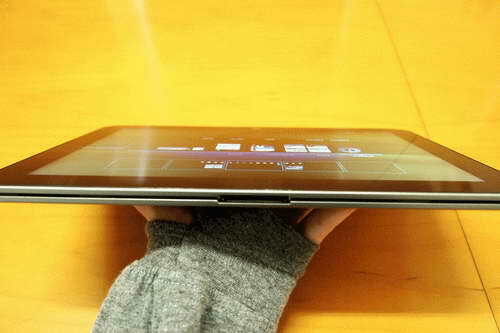 The new Acer Iconia Tab A700 tablet includes a 10.1 inches display with a 1920 x 1200 resolution. As said the tablet is boosted with Tegra 3 quad-core processor.Other features includes rear-facing 5MP camera with flash, Wi-Fi 802.11 a/b/g/n, Bluetooth 3.0, 3G, micro-USB and micro-HDMI slots, and a SIM card support. All new Acer Iconia Tab A700 tablet also contain a powerful 9800mAh battery capable of provididng up to 10 hours of video playback.The tablet weight only 650 gram.No information about the OS is available at present but the most probable OS option will be Android 4.0 ICS OS. 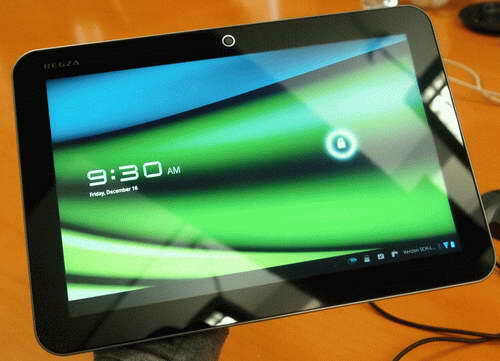 The official mrket launch of the new Acer Iconia Tab A700 tablet will happen in March or April 2012. 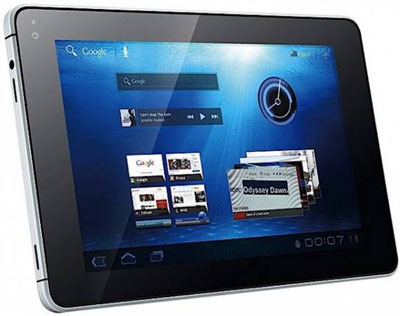 Tags:- Acer Iconia Tab A700 tablet specifications, Acer Iconia Tab A700 tablet details, Acer Iconia Tab A700 tablet release, Acer Iconia Tab A700 tablet launch, Acer Iconia Tab A700 tablet features, Acer Iconia Tab A700 tablet camera, Acer Iconia Tab A700 tablet display, Acer Iconia Tab A700 tablet price, quad-core tablets, acer quad-core tablet.